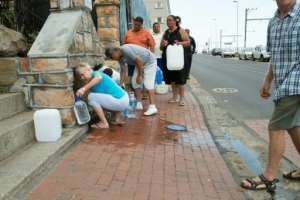 Residents of drought-stricken Cape Town received good news Tuesday when city officials said they now face losing piped water to their homes by July 9 -- a month later than last forecast. But Capetonians are not yet out of the woods. If drastic consumption reductions are not achieved by so-called "Day Zero" -- the last day of normal water supply -- people will have to queue at 200 standpipes for daily rations of 25 litres (6.6 US gallons). The city, which attracts millions of tourists every year, has enforced strict waste controls including prosecuting homeowners who use significantly more than the current 50-litre daily limit. "The Groenland water transfer and the reduction in our weekly average demand has had a dramatic impact on the 'Day Zero' date," said deputy mayor Ian Neilson in a statement, referring to a recent transfer of water from a region that had experienced good rains to South Africa's parched second city. "Today I urge the residents of Cape Town not to ease up on their water-saving efforts. We cannot afford to slow down when the estimated 'Day Zero' date moves out, simply because we cannot accurately predict the volume of rainfall still to come." Every day the city uses more than 450 million litres, "Day Zero" becomes more likely. In the past week, city-wide consumption stood at an average of 523 million litres daily. The previous forecast for "Day Zero" was June 4. 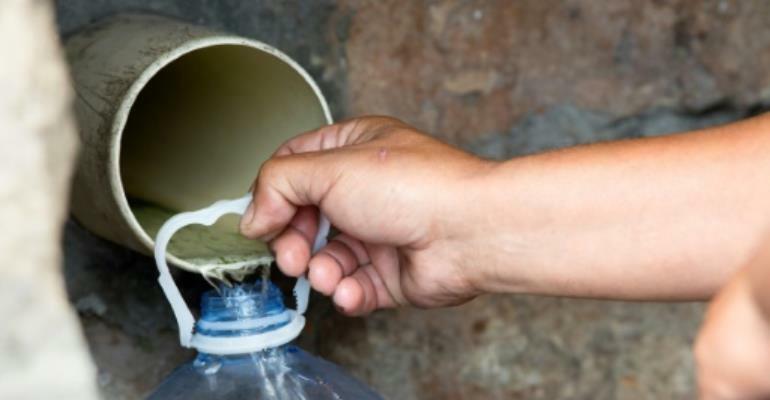 The city has published a name-and-shame list of the worst water offenders in Cape Town, and it says it is issuing fines for the heaviest water users. But officials have been criticised for failing to implement usage restrictions sooner, and accused of ignoring warnings by experts in the years before the drought. But Mediterranean-like Cape Town receives most of its rain in the southern hemisphere's winter -- and scientists warn there is no guarantee of a good rainy season.